28 Jan - 24 April 2016. The Norton Museum of Art is organizing the first survey of work by Njideka Akunyili Crosby (Nigerian, b. 1983) to be presented January 28 – April 24, 2016. In her large scale works that comprise both painting and collage Akunyili Crosby speaks of navigating life as an African in America. With an emphasis on the figure in familial, domestic settings, the artist creates compositions that appear as views into everyday life; yet, upon closer observation, are careful constructions that are subtly subversive. 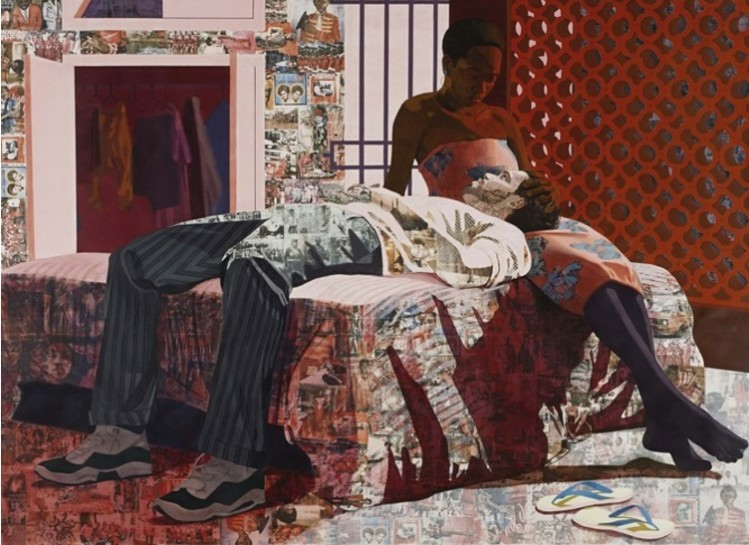 Akunyili Crosby received her BA with honors in 2004 from Swarthmore College before completing a Post-Baccalaureate at the Pennsylvania Academy of the Fine Arts in 2006. She earned her MFA in 2011 from Yale University. This presentation of 15 paintings will be Akunyili Crosby’s premiere solo exhibition at a museum.